Back in the 1960’s the term “fast fashion” had not yet been coined. Back then it was considered cool, sensible, and smart to take good care of your clothing. If a blouse was wrinkled you (carefully) ironed it. If the stitching at the seams or hem of a skirt came loose, you (or or maybe your mother) repaired it lovingly. Buttons were sewn back onto shirts and blouses. Rips and stains were patched over or disguised under a piece of costume jewelry or a carefully placed scarf. When “good” clothing was soiled it was sent to the dry cleaners. 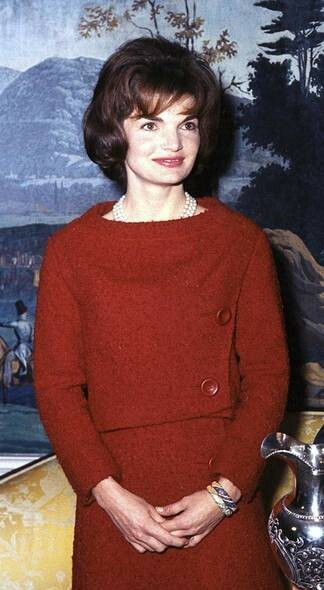 Fashion icons like Jackie Kennedy set the standards for quality and style. Women cherished the expensive outfits they purchased with their hard-earned money. If budget was an issue they made their clothing by hand, using skills passed down from their mothers and grandmothers. Used or worn clothing was “refashioned” into something new. It was repaired and passed down to the younger children. Teenage girls spent hours creating their prom dresses from a begged party gown of mother’s. Grandmas unraveled saggy sweaters and created matching hats and scarves for their grand-kids. Nothing was wasted. Nothing was thrown away. So what happened? When did we start wearing an item once or twice then throwing it out or letting it languish in our closets? And how come most women can barely wield a needle these days? As of the mid-1970s American clothing manufacturers began moving jobs overseas where they could get cheaper labor and buy textiles at lower and lower prices. 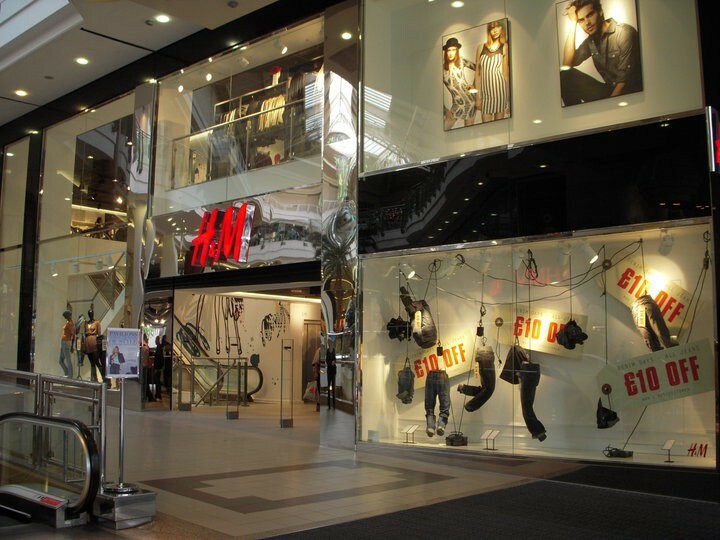 Gradually, more corporations got into the very profitable “fast fashion” industry. This caused pricing wars that compelled foreign manufacturing companies to squeeze down prices if they wanted to compete. In turn, garment laborers were forced to work for barely livable wages. This trickle effect led to the collapse of an eight story poorly maintained building at Rana Plaza in 2013. 1,134 garment workers were killed. Most were women, many with children sleeping at their feet. 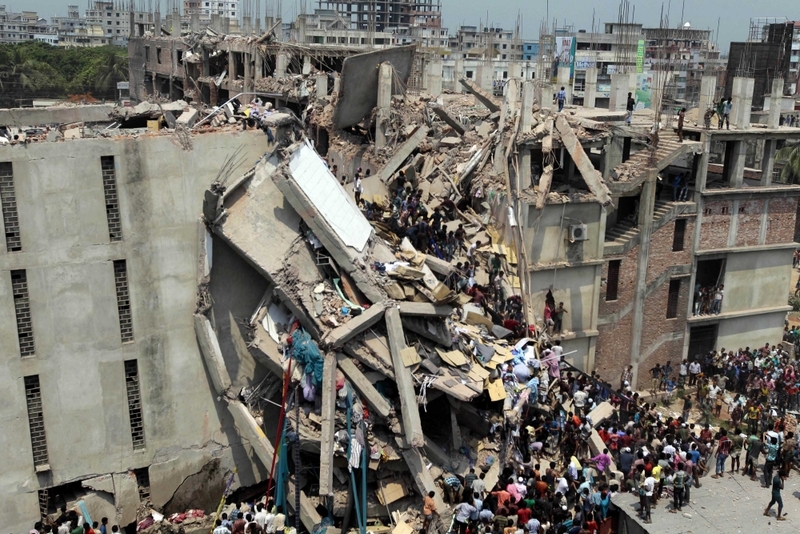 Although a number of US and international companies routinely purchased clothing from businesses at Rana Plaza, including JC Penny, Cato Fashions and Iconix (Lee Cooper), getting them to take any financial responsibility for the disaster has proven to be almost impossible, according to Forbes. Environmental regulations in many third world countries are virtually non-existent. This is very convenient if you need somewhere to mass-produce products that have a tendency to decimate surrounding areas. When I watched the documentary The True Cost I was sickened by what we’re doing to the countries that make our clothing and shoes. The toxic run-off from shoe factories, for example, causes horrific birth defects in nearby villages. Local residents are slowly poisoned by the carcinogens that turn up in the water supplies. I was also shocked to learn that the fashion industry is the second largest source of pollution on our planet, right after the oil industry. Really? How can that be? How is it that women in the Western world are so driven to out-fashion their friends (and frenemies) that they would willingly buy products that deform children? Perhaps they just don’t know. Nobody is talking about it, least of all the big box fashion retailers. While the company shown in this image is the world’s second largest global fashion retailer, just behind Inditex (parent company of Zara), they are not the only offenders, by far. Invest some time in researching exactly how your favorite clothing brands source their products. You may be pleasantly surprised — and you may not. So we have thrift stores, right? They are there to raise money to feed the homeless, protect domestic violence victims, and provide shelters for our four-legged friends. No need to feel guilty about dropping off garbage bags filled with barely worn designer outfits — they’re being donated to a good cause, right? You might think that donating to the local thrift store is the ultimate solution to getting rid of the stuff you don’t really need or want. They make money for their mission, distribute free clothing to the homeless, and offer a guiltless alternative to throwing your almost-new garments into the landfill. Well, maybe, and maybe not. In fact, upwards of 90% of all donated clothing is sold and shipped overseas where buyers then sort and resell the clothing. While that provides much-needed income to many impoverished people — and that’s a good thing — it also takes money away from local clothing manufacturers who are put out of business by the influx of cheap goods. 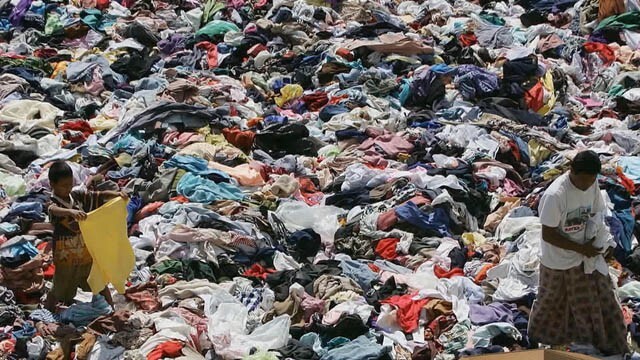 Is exporting our throw-away clothing still a good idea? Is there another way? There Are Ethical Clothing Companies Out There. Really. There is some good news here. A growing number of clothing companies are turning away from the fast fashion paradigm of continuously churning out millions of tons of cheap clothing. Instead, they’re finding ways to produce high-quality clothing with minimal impact on the environment. You just have to know who they are. Royal Peasantry out of Asheville, North Carolina happens to be one of my favorite brands, but there is an ever-growing number to choose from. While it is by no means comprehensive, I do have a list of my favorite ethical clothing brands. If you discover one that’s not on the list, please drop me a line with a link to their site. Cheers. Another solution to the fast fashion apocalypse we’re living in is to buy directly from an independent eco-fashion designer. 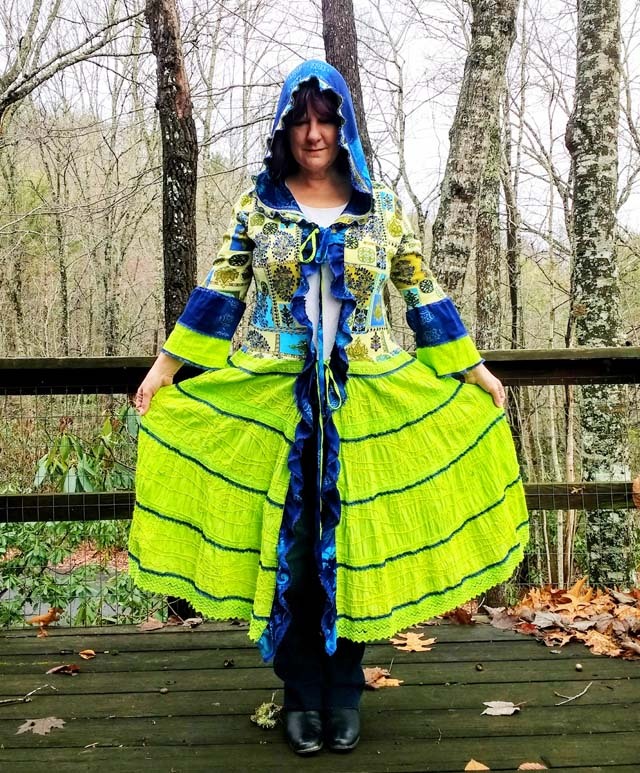 There are literally thousands of women (and men) who are designing and making one-of-a-kind garments using refashioned clothing as a main component. A quick search for terms such as, “upcycled clothing,” “reclaimed apparel” or “eco fashion” will bring up a nice crop of sustainable fashion designers and garment makers. There may even be some in your town. The example above is a piece I personally designed and made (I know, shameless, right?). Etsy.com is another rich source of wonderfully talented garment creators, some of whom will be glad to make clothing to your own specifications. Why Not Make It How You Want It? Probably the most sustainable solution to the environmental mayhem being caused by the reckless greed of big box clothing retailers is to avoid the fast fashion industry altogether. Today it’s fairly easy to embrace renewable resources such as bamboo, which can be used to make beautifully soft fabric. And of course, thrifting and upcycling clothing is really economical and fun. But my personal recommendation would be to use what we already have. 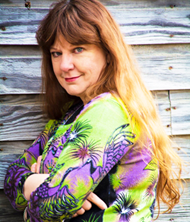 And my plea to you is to try – just try – to make at least one garment for yourself or a loved one using reclaimed clothing. There are a bazillion tutorials out there showing you how to reuse, recycle, up-vamp, re-style or reinvent clothing that already exists. From my personal experience it is extremely satisfying to make clothing that suits your own unique style. If you need a place to start, try this easy women’s tunic sewing tutorial. It’s my gift to you and my way of saying hell no! to the fast fashion industry. I am begging you, on behalf of our future incarnated selves, to do everything in your power to reduce the negative impact of your personal wardrobe on this beautiful, fragile planet.